There aren't more than a couple thousand billionaires in the world, but how many of those billionaires can say they're normal? Just how many of them are bizarre, weird people? They may or may not have been weird without all that money, but having it has allowed them to indulge their eccentricities in borderline comical ways. Here are some folks who are downright strange and who have quite enough money to tell you to get lost. Plastic surgery isn't unique, but getting enough of it to (intentionally) look like a whole new animal most definitely is. 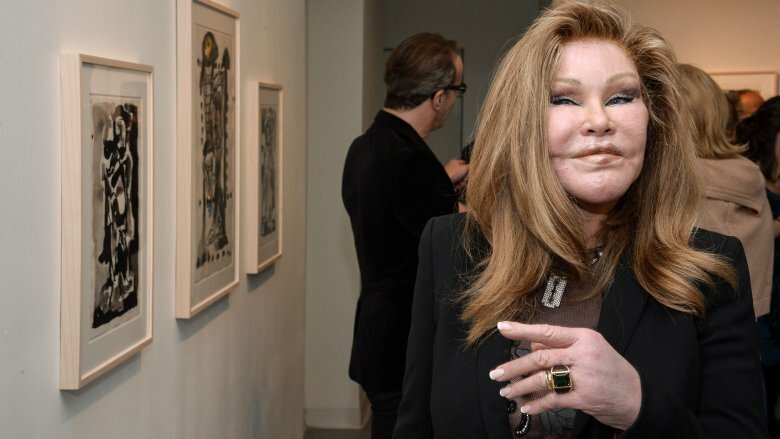 And that's what Jocelyn Wildenstein has done to herself, because why not? Wildenstein — who became rich by marrying a billionaire and getting $2.3 billion of his money in their divorce agreement — has spent obscene amounts of money on her physical appearance. (Rumors suggest up to $4 million in surgery fees, according to Jezebel.) But rather than just get a facelift or a tummy tuck, she's elected to make herself look like a cat. According to People, some friends think the "Catwoman," as some call her, wants to be a lynx, just like one of her pets. (Yes, she owns a lynx.) Whether she's a lynx or not, she does look a little cat-like, with high cheekbones and slanted eyes that scream "feline." Other rumors say she started to turn herself into a cat to appease her then-husband, who loved cats. If true, it didn't work, as he filed for divorce in 1997. What's more, her appearance has unfortunately become less cat-like and more "total mess" in recent years. Too much of a good thing? Also, she keeps getting in trouble for domestic assault on her current boyfriend, which is another kind of mess. 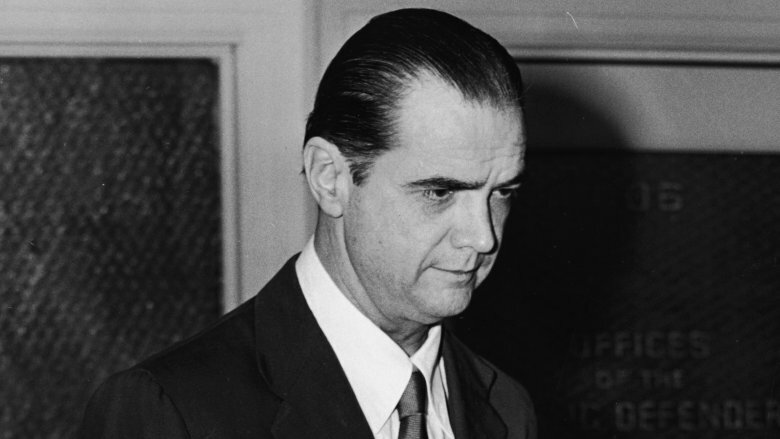 Few billionaires personify "weird eccentric" like Golden Age movie mogul Howard Hughes. Few of his personality traits were odder, or more destructive, than his extreme germophobia. According to a psychological autopsy conducted on Hughes in the years after his 1976 death, Hughes was isolated and friendless as a child and "increasingly became concerned about his own health" as a man. In childhood, Hughes' mother was petrified of polio and other germs and would closely monitor every aspect of her son's health. The autopsy theorized that Hughes never grew past his mother's fear, even finding himself paralyzed for several months for no physical reason. As an adult, his fear of germs grew worse and worse, to the point where he spent the last two decades of his life a near-complete recluse. He would stay alone in dark hotel rooms with tissue boxes on his feet, convinced it was the only way to keep germs away. He would burn clothes if anyone nearby got sick, and he would force his staff to do things like remove and scrub away all remnants of food-can labels, clean it again after, and then take great care to never let the sparkling-clean can touch the bowl. This despite rarely bathing or brushing his teeth — as the autopsy explained, "He didn't believe germs could come from him, just from the outside." 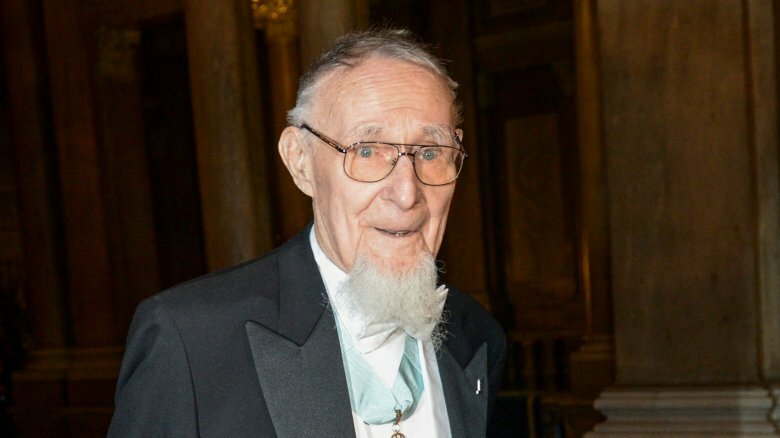 Despite being worth over $40 billion, Kamprad elects to spend as little of it as humanly possible. He does so by, according to a Swedish documentary, by buying virtually all of his clothes at flea markets and waiting to get his hair cut until he's in a developing country that charges less. Unconfirmed rumors have him going even further down the "spend no money" hole, by swiping salt and pepper packets whenever he goes out to eat and even by recycling tea bags. The weak second cup is worth holding onto that nickel-per-bag just a little longer, apparently. Yet despite his obsession with saving money for a rainy day, at one point it seems Kamprad had to fork over billions in one go. 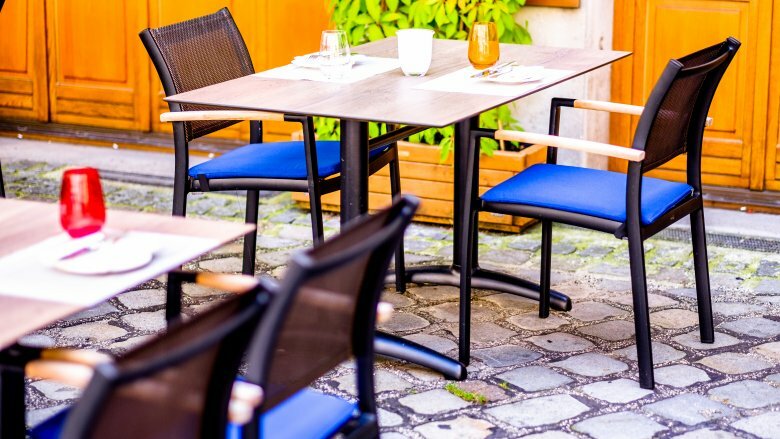 According to a book called Ikea: Moving to the Future, Kamprad quit as CEO of IKEA in the '80s, and his sons sued for their rights to a big payout Kamprad got from stepping down. Kamprad allegedly lost and had to give up around $3 billion to his boys. That's a lot of tea bags. Clive Palmer is basically a little kid with way too much money — his two favorite things to spend money on are dinosaurs and a second Titanic. As recapped by Australian Broadcasting Corporation, the billionaire coal-and-iron-ore magnate chose to open his very own dinosaur park in 2013. Cleverly dubbed "Palmersaurus," the park featured over 160 animatronic dinos, including a T. rex. He basically recreated Jurassic Park, but thankfully without the pesky side effect where the dinosaurs ate everyone. Unfortunately, the park proved less than popular with neighbors, who found it hard to sleep with the dinos' endless roaring. What's more, Palmer reportedly charged over $100 for a family of five, and defended it by noting that was "a lot cheaper than going to Disneyland." True, but Disneyland has a lot more going for it. Palmersaurus was literally "here are dino statues that roar, come look at them." 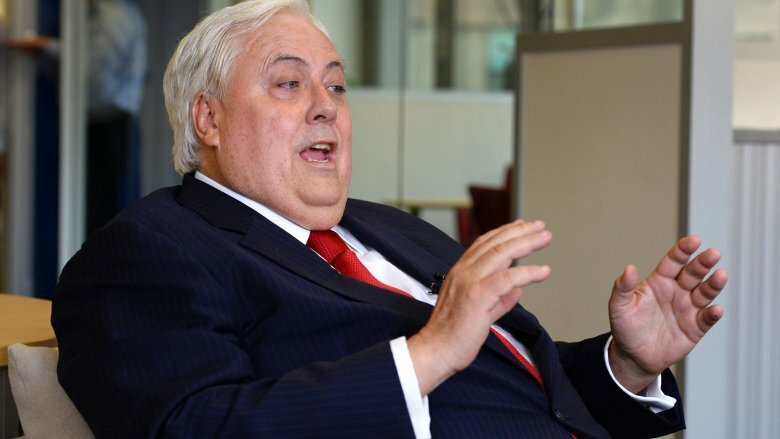 Not satisfied with extinct robo-lizards, Palmer is also looking to recreate the Titanic. In 2013, he released a video detailing his plans to build the Titanic II and actually sail the thing. His reasoning was really strong: "Why go to the Moon? Why do the Yankees play the Red Sox? … Because they could, and they can, and we can build the Titanic." Well, the Yankees play the Sox because the schedule tells them to, but otherwise solid reasoning. He had hoped to launch Titanic II in 2018, but it hasn't materialized yet. 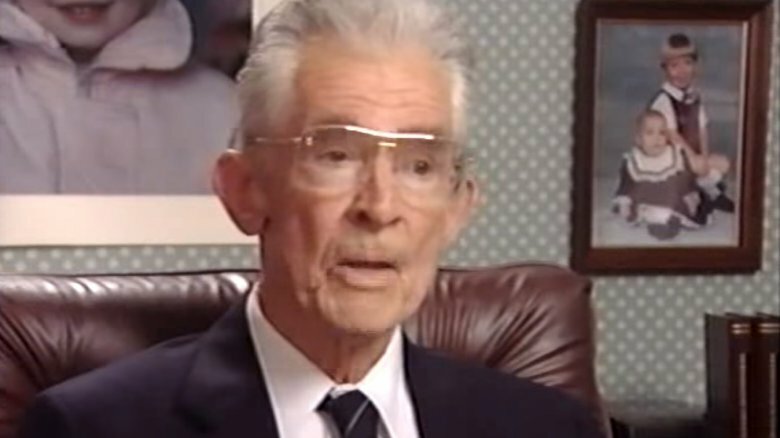 Robert Klark Graham made his fortune creating shatterproof lenses for eyeglasses, and spent it on perhaps the strangest form of eugenics ever. In the late '70s, Graham established the Repository for Germinal Choice, a sperm bank designed to create only the smartest, most brilliant babies possible. Graham theorized he could do that by collecting sperm samples from nothing but Nobel laureates. He quickly learned, however, that limiting your sperm to Nobel laureates was a bad idea, as most of them are old. That means sperm that really isn't ripe for freezing. Rather than give up and find a normal hobby, Graham simply started trying to get sperm from men who were brilliant, no Nobel required. The project eventually ground to a halt, probably because the very idea of it is kind of horrifying. Before folding in 1999, however, the RGC did produce 217 children and, according to the BBC, the few who have gone public actually are pretty brilliant, though they don't really credit Graham for having a good idea. RGC child Doron Blake believes "it doesn't matter how a child is made. … It's how the child was raised and nurtured that really matters." Another RGC baby, Courtney Ramm, feels the same way, saying, "I think intelligence is not only based on your genes, I think it's also about the environment you're brought up in." So if you're reading this and thinking of getting into eugenics, probably don't. It's common to hear about billionaires with multiple homes. How about one with zero? For a long while, that was Nicolas Berggruen, who made his fortune investing in various hotels and department stores. 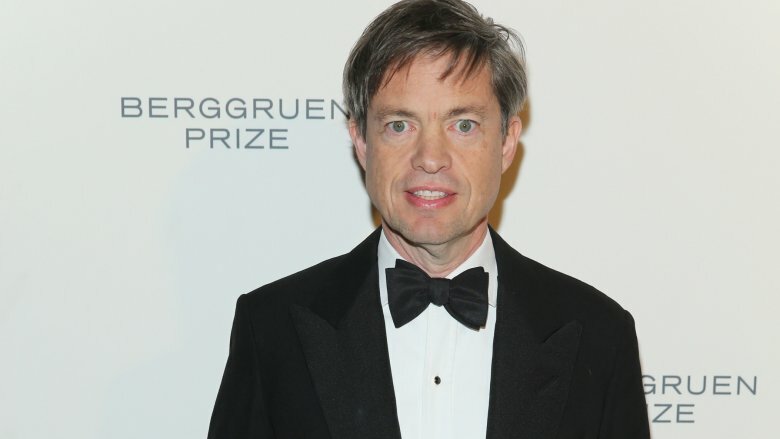 Dubbed the "homeless billionaire" by the press, Berggruen was once a fairly typical billionaire, with fancy homes and priceless art on his walls. But around the turn of the century, the Wall Street Journal reported, he started to feel dissatisfied with having so much stuff. So, he got rid of virtually all of it — he sold his houses, his paintings, and most of his worldly possessions in favor of a lifestyle where he lived almost entirely out of hotels and his private plane because he's still a big important billionaire investment guy. His material possessions were minimal, just a small bag of clothes. Now, he wasn't exactly slumming it in roach motels — Berggruen's idea of being a nomad included some mighty fancy hotel rooms — but for a guy to give up having a permanent address simply because, as he put it, "I felt I was owned by possessions," is quite unique and even a bit awesome. It's also on hiatus — Business Insider reports that Berggruen bought a $40 million California home in 2017, to go with a home he already bought in New York. Even five-star hotel living gets old after a while, apparently. The idea of someone being so rich they could pay to have their name seen in space isn't supposed to be taken literally, unless you're Sheikh Hamad bin Hamdan al Nahyan, apparently, who did just that. A member of Abu Dhabi's royal family, Hamad has more than his fair share of money. He's got the kind of money that can buy him his own island, namely Al Futaisi. 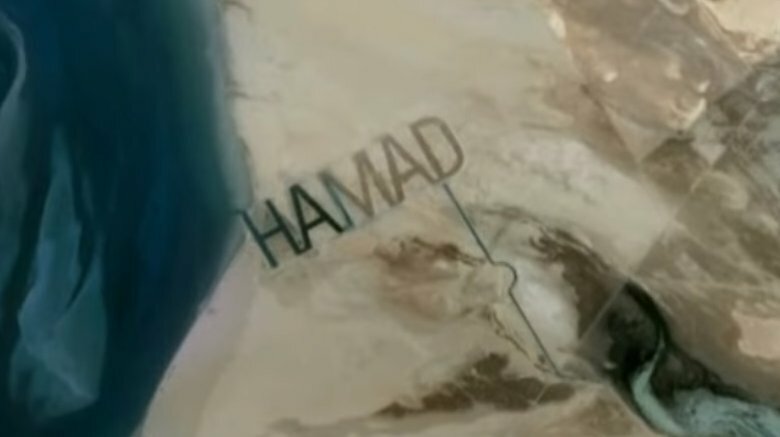 And on that island in 2009, The Atlantic reported, Hamad hired contractors to carve out his name, HAMAD, in the sand. The letters of said name were reportedly half-a-mile high, and the whole thing stretched out over 2 miles. But it's hard to be so full of yourself without getting at least a little backlash. Tom Gara of the Financial Times noted that, possibly due to other royals not liking the idea, Hamad briefly stopped his project, before eventually resuming. He had the canals filled in in 2013. 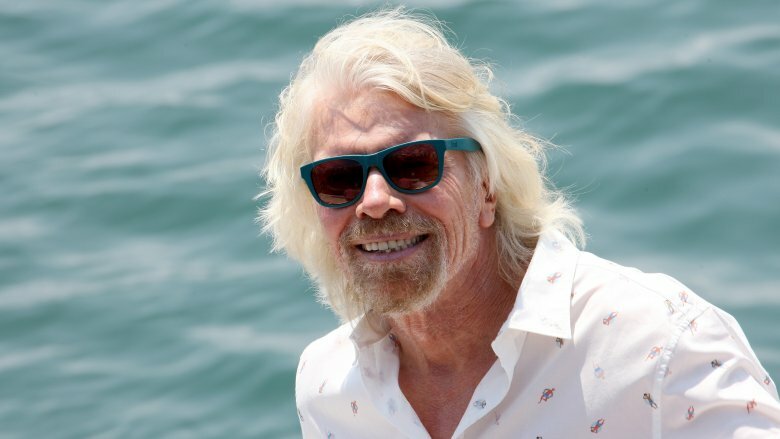 Richard Branson quickly comes to mind when you're thinking about modern-day eccentric billionaires. 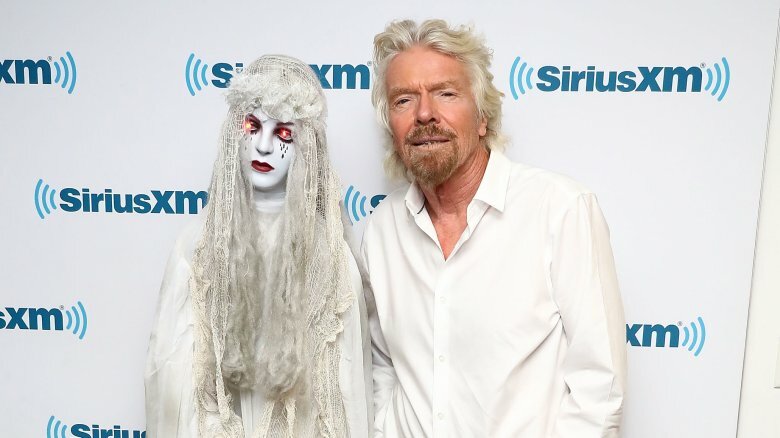 The founder and owner of Virgin Airlines and Virgin Records, Branson has all the goofy weirdness of a mega-billionaire but seemingly without the debilitating mental issues that plague some billionaires. Branson simply enjoys being rich and famous. One of his favorite activities, it seems, is playing dress-up. In June 2016, he dressed up as a mermaid, an image you might not want to Google on a full stomach. Of course, he did it to raise awareness for World Oceans Day. That said, he still dressed as a mermaid, so view with caution. He's also dressed as a flight attendant, an Indian groom, a bride, a pirate, the Easter Bunny, and more. Live every day like it's Halloween, man. He's also big into space travel, and actively wants to make space tourism a thing. His Virgin Galactic branch is working on setting up suborbital flights that anyone can fly … as long as they pay the low, low price of several hundred thousand dollars. This sort of thing has been promised for years, so we'll see if it actually happens. Prince Alwaleed always had money, being Saudi royalty. But after investing almost $600 million in Citibank back in the '90s, he became a mega-billionaire. He's now worth $20 billion and apparently spends his money in one of the most stereotypically awful ways imaginable: He pays dwarves to be funny for him. In 2012, Business Insider revealed Alwaleed's penchant for dwarfs. 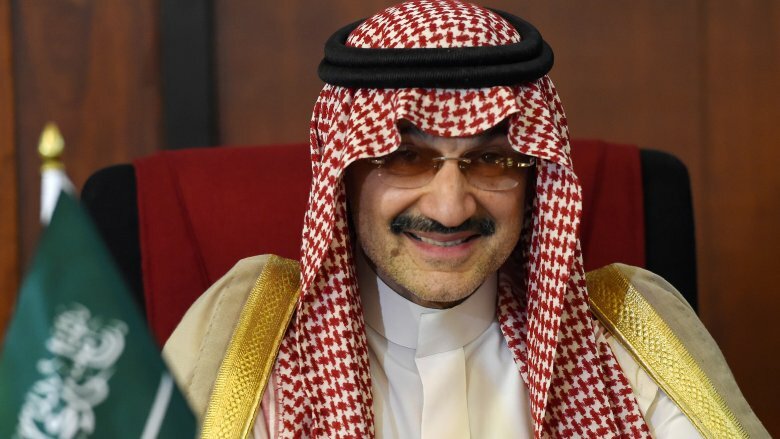 According to sources within the Saudi royal family — one of which was the prince's official spokesman — Alwaleed employs a group of dwarfs and basically sees them as jesters. He'll pay them to dance, sing, run around, and just plain be silly, because they're small and that's enough for him, apparently. Other pastimes include actual dwarf tossing, where the prince awarded cash prizes to whoever could throw a dwarf the farthest. Luckily for the sake of the dwarfs, the prince provided pillows for them to land on. Less lucky was the time he allegedly threw hundred-dollar bills into an open fire and had dwarfs risk third-degree burns to pull them out before they burned to ashes. Heaven forbid the hired help just get direct deposit like the rest of us. Georgian business tycoon Bidzina Ivanishvili, who made his billions through banking, real estate, and the pharmaceutical industry, is apparently not at all into privacy, if his glass house is any indication. That and the part where he got into politics and actually worked as prime minister of Georgia for a year. But mostly the house thing. Ivanishvili, for whatever reason, lives in a clear glass house. The Guardian described it as "a James Bond-like space-age palace of steel and tubular columns," that aides reportedly call the "glassle." In addition to his glassle, Ivanishvili owns a zoo that he keeps in his Georgian village. Some reports suggest it's exclusively a home for penguins, which would be strange but adorable. 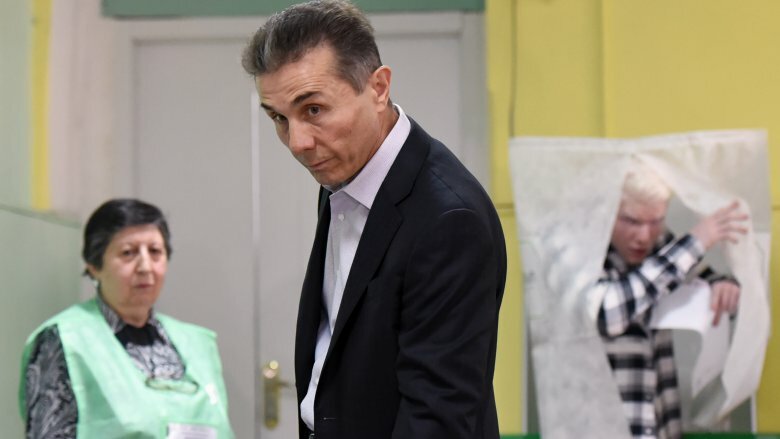 The Guardian, on the other hand, mentions both lemurs and "a zebra," who Ivanishvili will hopefully purchase a playmate for soon. Either way, Hollywood makes feel-good comedies out of the idea that someone could own a zoo, so whenever it happens in real life, you are legally obligated to chuckle and feel warm fuzzies. We're breaking the rules here a little — Salvatore Cerreto doesn't appear to be a billionaire, just a regular old multi-millionaire. (Try not to feel too bad for him.) But he's weird in a way that just can't be ignored, so here's his story. According to the Sydney Morning Herald, various businesses in North Ryde, Australia, had been dealing with a mysterious pooper for four years. That's exactly what it sounds like: somebody was coming to their buildings at night, taking a poo on the doorsteps or nearby pavement, and then leaving. Nobody could figure out who did it, until 2011, when a North Ryde restaurant owner finally installed surveillance cameras to catch the culprit. It wound up being Cerreto, a property owner. Maybe he decided this was the best way to deal with competition, but who knows. When he was arrested, Cerreto would only tell police that he had "a good reason" for doing his business on the steps of other people's businesses. It's probably safe to say his version of "good" is different from the restaurant's version, not to mention the judge's.